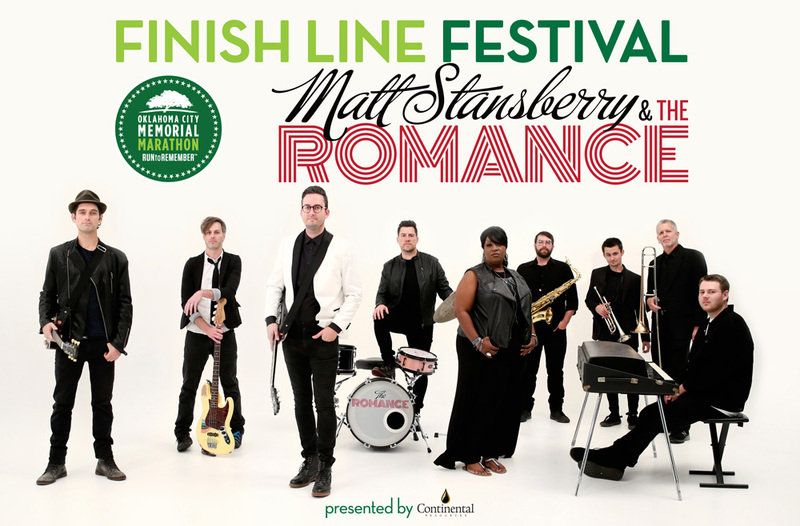 We are elated to announce that Matt Stansberry & The Romance will be performing at our Finish Line Festival presented by Continental Resources this year on the Devon Lawn at the Myriad Botanical Gardens! Matt Stansberry & The Romance is a 9-piece, American Rock ‘N Roll band based in Oklahoma City who has developed their own sound by blending American popular music, Blues, R&B, Soul and Funk. Early influences include Buddy Holly, James Brown, The Rolling Stones and Jimi Hendrix. Their big band sound will bring huge excitement to the Festival! Check out the latest video in the okcMarathon line up! Get the latest Marathon updates right to your inbox.